Wunderbar prides itself on being unique, I’m going to call it curious, and a little bit creepy. 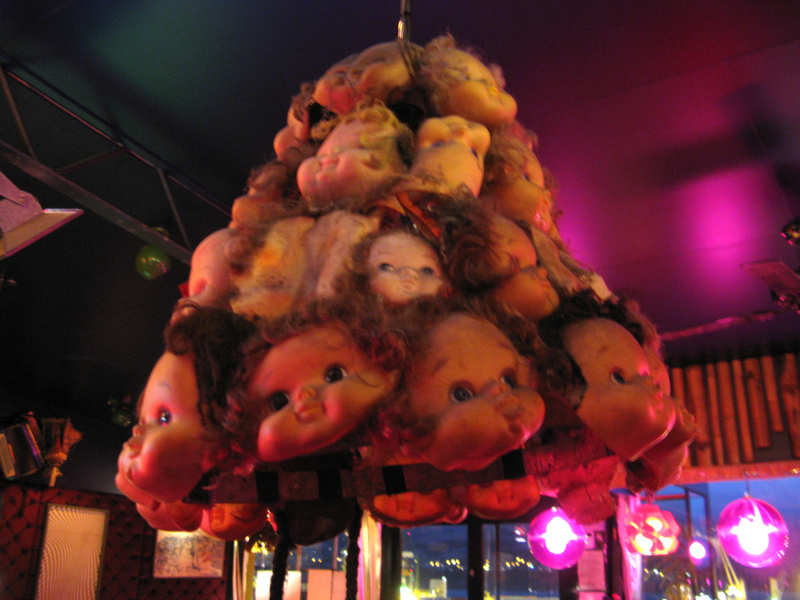 The dolls head light shades could be considered cute, and if you’re going to behead some victims and display their heads in a cabinet it’s probably best they belong to Sindy and Barbie. It was the hair roller light shades (with hair) that led me into creepy territory. I don’t know if the hair was real, neither of us was keen to examine it closely. I couldn’t help wonder though whether hair from a hundred nanas was hanging out with us on Friday night. (And were all those nanas still alive?) Why nanas? The hair wasn’t purple but I’m old enough to remember the queen of curlers – Hilda Ogden, definitely more nana than nymphet. 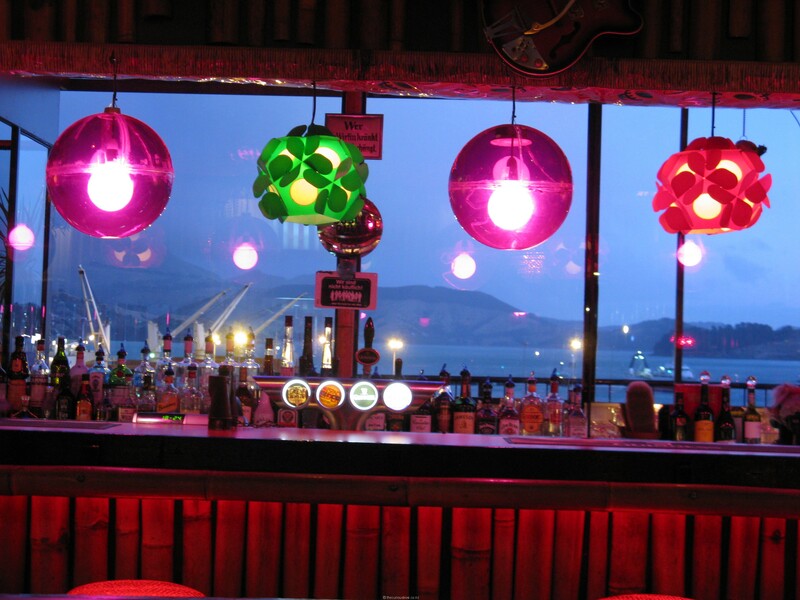 It wasn’t too hard to distract ourselves from the hairy shades though as Wunderbar overlooks Lyttelton Harbour – there’s binoculars on the bar if you want a closer look. Local Wunderbarians enjoy a more entertaining view – watching the latest newcomer search for the loo. You need to be curious and that’s just how the locals like it. On my first attempt I learned that men’s loos do indeed reek of disinfectant as Mike often complains. My second attempt got me into the right place – the 1950’s. I don’t want to spoil a favourite pastime of the Wunderbarian so I’ll just give a clue. If you’re a woman, think about what a house wife in the 50’s would’ve used a lot and then look for it. 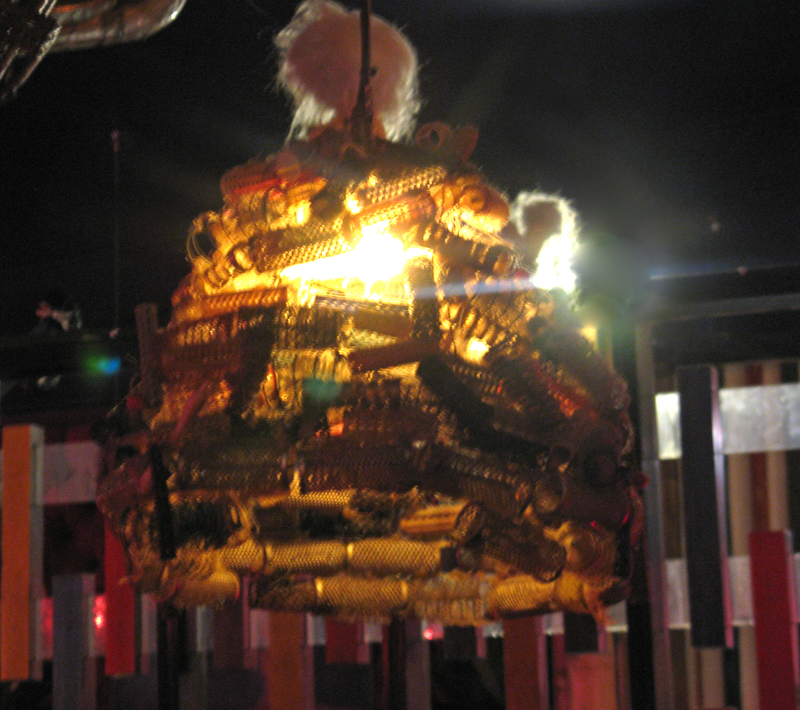 Wunderbar is open 7 nights, check the events calendar to see what’s on. Call in and decide for yourself whether you think it’s curious or creepy. This entry was posted in Curious Christchurch, Eats & Drinks, Unusual New Zealand and tagged curious Christchurch, Unusual eats & drinks, Wunderbar Lyttelton by thecuriouskiwi. Bookmark the permalink.